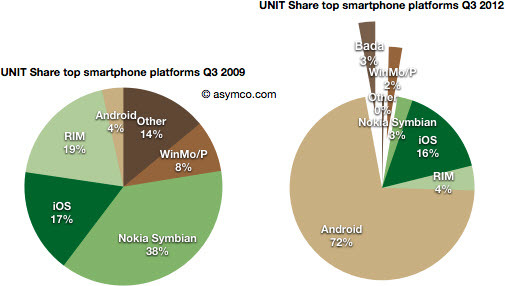 Along with the demise of Blackberry is the decline of Nokia in the mobile devices market. The Nokia Lumia 810 is a far cry from some of its predecessors that took the mobile world by storm and established Nokia as a strong player in the industry. The Silicon Valley giants - Apple and Google - have shown the world what top dollar and American innovation at its best can do. Mobile devices are a hot market, but there is nothing hotter than social media right now in the tech world. Around five years ago, my friends kept telling me to be careful on Facebook as it would become an online resume that employers would require. That's kind of what LinkedIn is and the folks at LinkedIn are pretty wild about Facebook's new jobs board. We're talking 1 billion users now and the fact that 50 percent of employers are keen on checking the Facebook profiles of new hires.